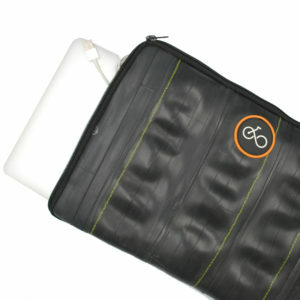 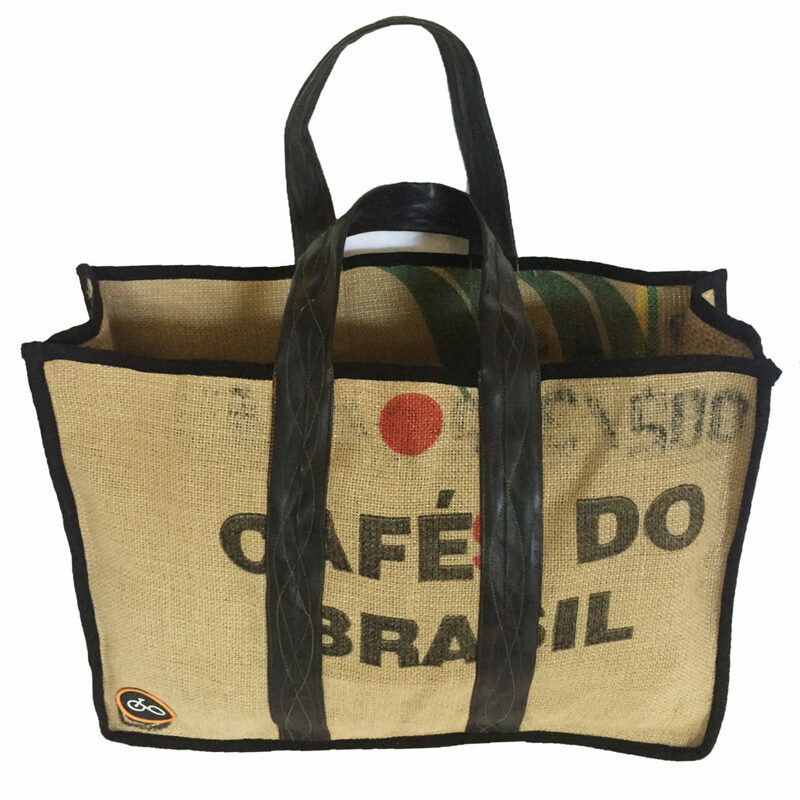 SKU: 5060559770262 Categories: Bags, Coffee Sack Products, Inner Tube Products, Everything Else Recycled! 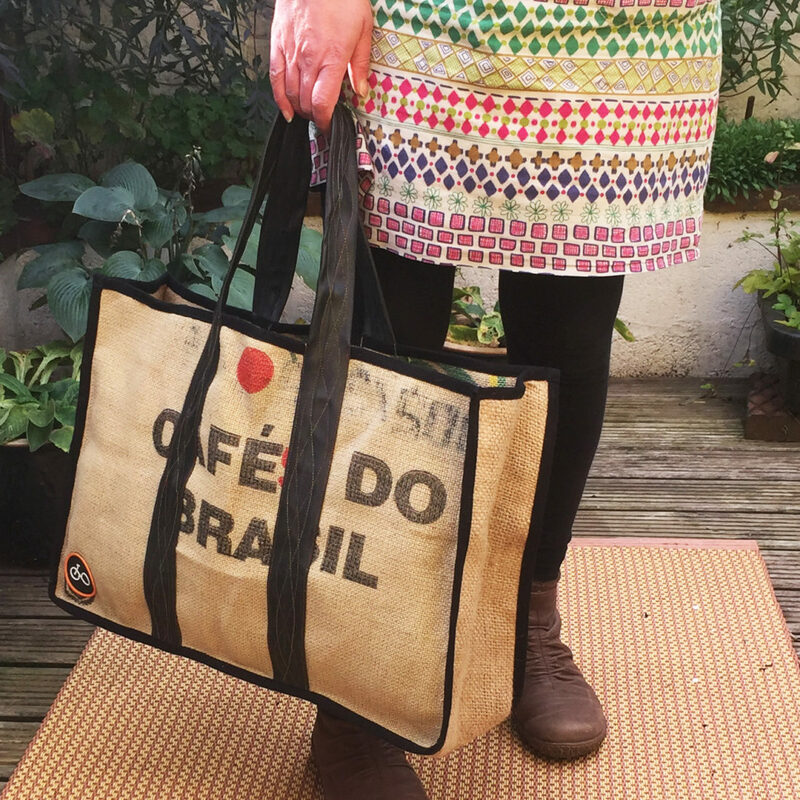 This bag is so much more than a “bag for life” it’s super strong and stylish too. Completely made from recycled coffee sacks and inner tubes, you’ll find you never need another shopping bag. 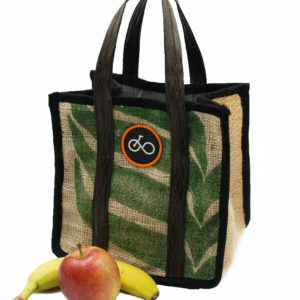 It has huge capacity to carry all of your goodies home from the high street. 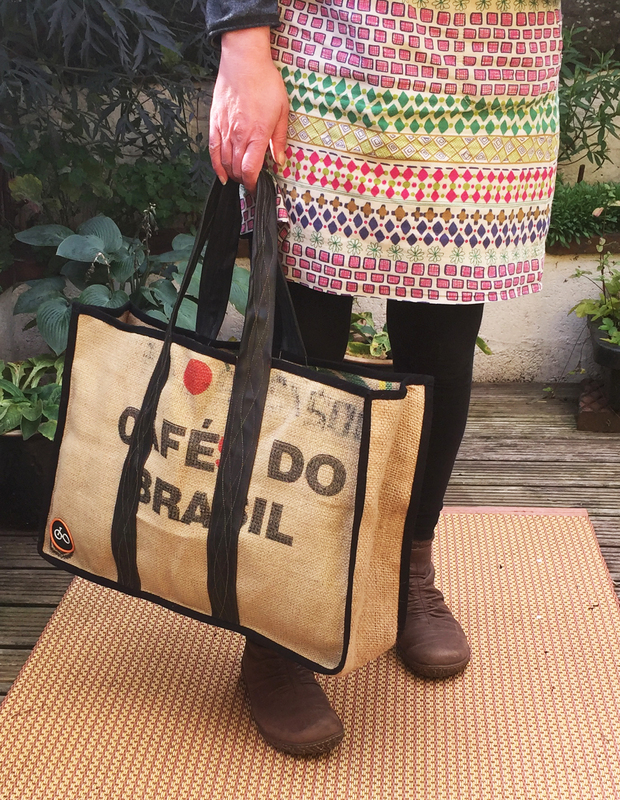 The lovely feature stitching on the handles makes them very robust at the same time as being super-comfy and won’t cut into your hands when carry weight. 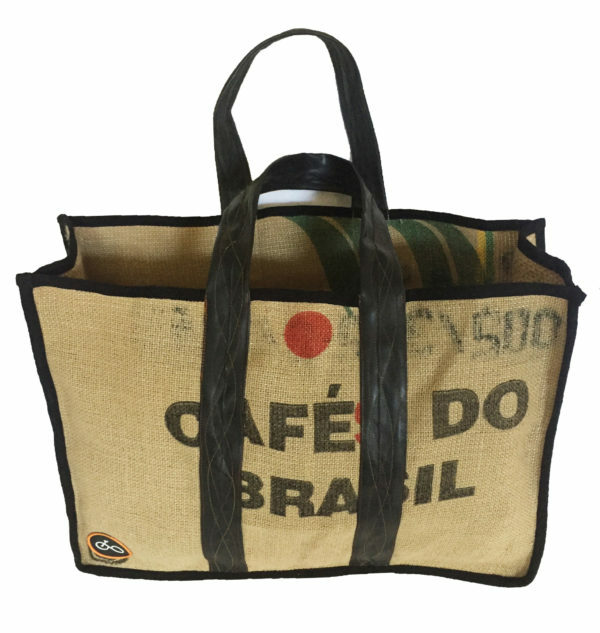 The printing on the coffee sacks means that each and every bag is completely unique, so your bag may differ slightly from the image shown. . 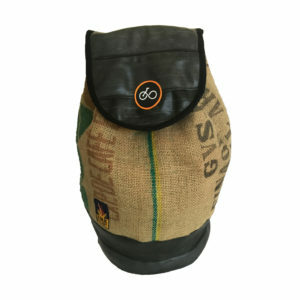 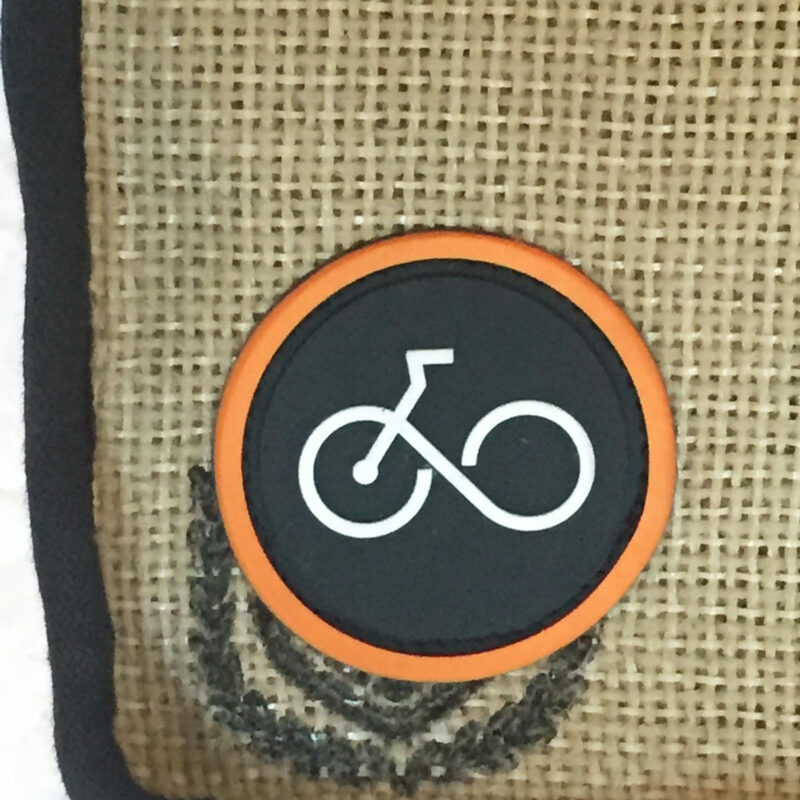 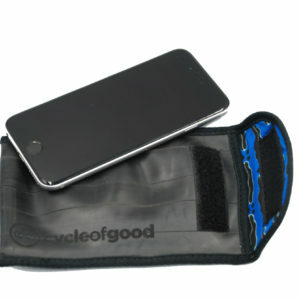 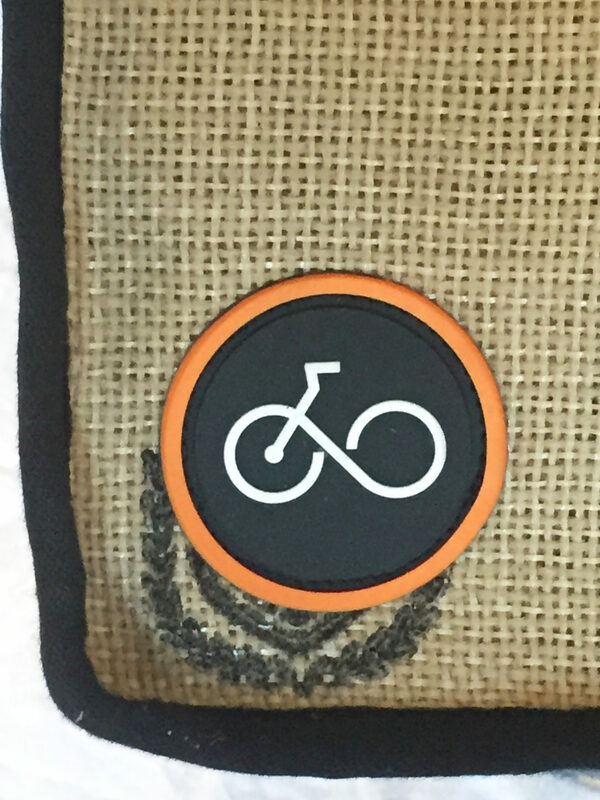 The handles are made from 100% recycled bicycle inner tubes saved from UK landfill, the nature of this recycled material means there will be blemishes and variations, who knows you may even be lucky enough to get some manufacturers text or an old puncture repair patch! 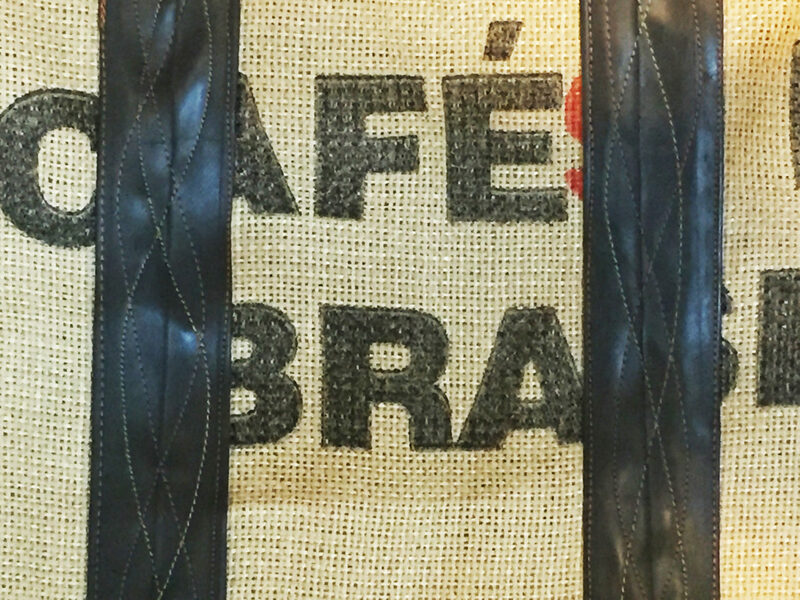 Non-washable. 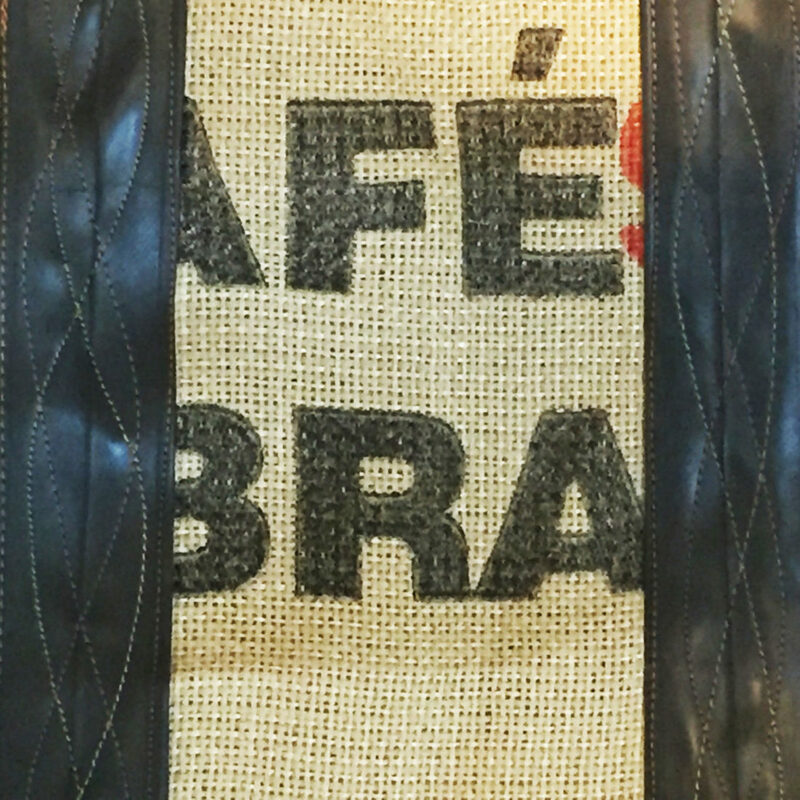 Handcrafted by trained tailors in Malawi who earn a fair wage.